What brands are your favorite? What blades do you prefer and colors? My own, specifically my 3/8oz smallie slayer in holographic silver blue illusion, a clear water killer!!! Had great results with Advantage spinnerbaits this last season.They are a tad costly,however you can order them with custom specs. The head design is like their buzzaits as it cuts through the water and grass..Shaped like an arrow head and they use sick skirts..
they also make an All black one with Single Black or Gold Colorado blade that has been killer on the river this year..
War Eagle 3/8 or 1/2 oz. in Spot Remover dual willow leaf. I do the best with the smaller KVD compact spinner baits with one large willow and smaller Colorado. The silver blades work the best for me. For LMB and smaller pike I like the Terminator T1 white/chart with a Colorado and their Oklahoma or oversized Willow blade. 3/8 or 1/2. I also like the Hawg Caller Vibratron spinners, but mostly just the blades. 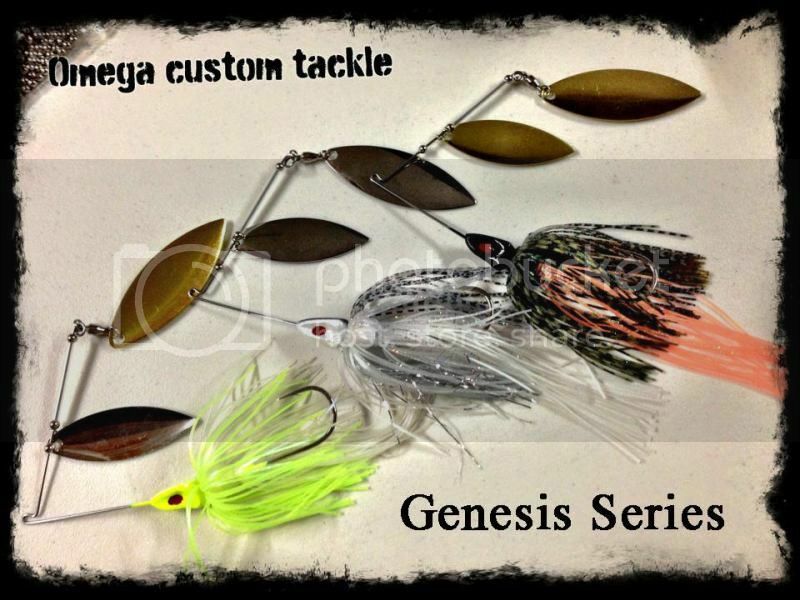 For bigger pike and muskie, nothing beats the Cabelas 1oz spinner in fire tiger for me. Only catches bigger ones and is super durable to boot. If I could only fish with 10 lures for the rest of my life, both of these would make the cut. Come on guys!!!!!!........ lil' hustler all the way!!!!!! !